Whilst at the Contemporary Craft Festival in Bovey Tracey in 2017, I got talking to Helaina Sharpley, whose artwork was featured in a film we had shown during the weekend. 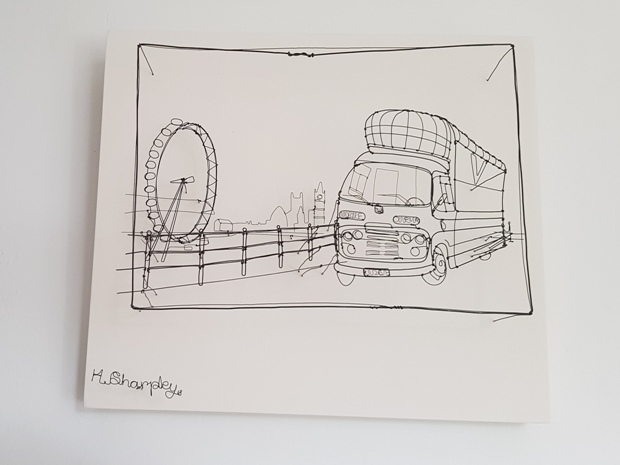 One thing led to another and she has produced this amazing wire artwork of Audrey parked up near Westminster. If you would like a similar commission, don’t hesitate in getting in touch with her.